Apple has started early production of its next-generation iPhone models that will retain 4.7-inch and 5.5-inch form factors and integrate Force Touch technology, a report said Friday. Citing industry sources, Bloomberg reports Apple suppliers are in the midst of an early manufacturing run of the company's next iPhone models, which will bring pressure-sensitive Force Touch technology to the popular handset. Apple first deployed Force Touch in Apple Watch as an alternative means of user input. 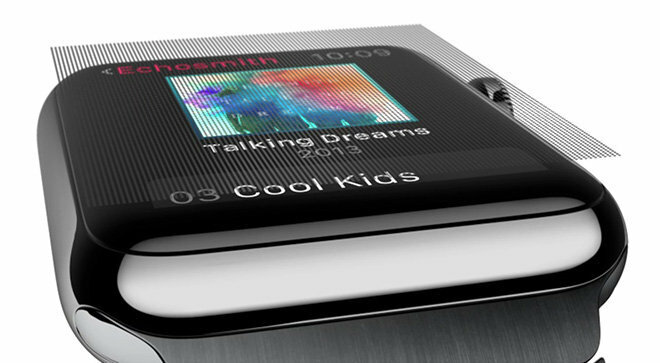 Sensors installed around the edge of Watch's screen measure the amount of force being exerted by a user's finger, which is then translated into gesture control signals. A similar implementation made its way into the new 12-inch MacBook's trackpad. Previous rumors claimed Apple would restrict Force Touch capabilities to the larger "iPhone 6s Plus" model, much like the current iPhone 6 Plus features exclusive optical image stabilization, but today's report suggests pressure-sensitive screens will come standard on all next-gen models. Additionally, sources said transitioning to the new handset line should be a smooth process for manufacturers, as Apple's upcoming iPhones retain current iPhone 6 series designs. As with any new technology, however, the incorporation of Force Touch could affect display assembly yields and cause production slow downs. Following the initial run, mass production could begin as soon as August.